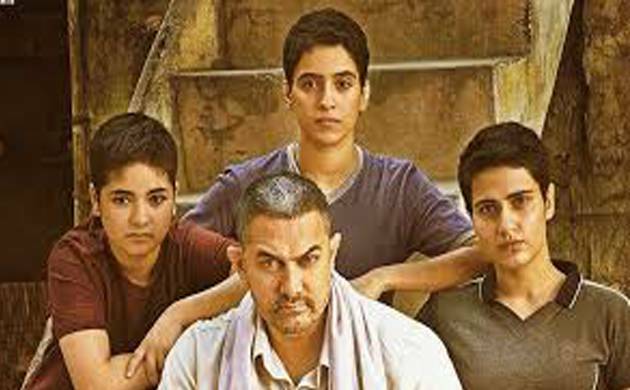 Bollywood Superstar Aamir Khan says “Dangal” was a challenging first film for Fatima Sana Sheikh and Sanya Malhotra as the project was physically gruelling and the debutants suffered many injuries during their wrestling training. “Dangal” is a sports drama based on the life of wrestler Mahavir Singh Phogat and his daughters Geeta and Babita. While Aamir essays the role of Phogat, Fatima and Sanya will be seen playing the daughters. The actresses trained for almost a year in wrestling and Haryanvi language before the beginning of the shoot. During the training Fatima sustained a rib fracture and Sanya had a hamstring injury, but they still continued with the training. “’Dangal’ is a very demanding film. As your first film it is very challenging. They are not in their comfort zone. Both Sanya and Fatima are city girls. They had to play girls from a small village. they had to mentally and physically transport themselves to another world,” says Aamir. The 51-year-old actor made his debut with “Qayamat Se Qayamat Tak” but says he was not pushed beyond his limits like these girls have been in their first film. Aamir says he was elated by the dedication of the youngsters and they have outperformed him in the film. “When I came in the industry, I came with a certain amount of passion. When I see these girls I see the same passion and thirst. So I can’t say that I am surprised. But I am very happy about it. Praising his other co-star, TV actress Sakshi Tanwar, who plays his wife in the film, Aamir says she was a dream to work with and he would love to collaborate with her again. “Dangal” directed by Nitesh Tiwari will release on December 23.